In 2015 and beyond, not having a strong Online Presence is suicidal for companies and brands. Most acknowledge this fact…wholeheartedly. Most have also taken the first steps by setting up an Online Presence. But not many have succeeded in building an impactful, well-rounded presence that can drive traffic and convert visitors into leads, sign-ups and customer wins. A lot of us think that once a website has been setup with a few beautiful pictures and basic content, that’s about it. But, will the website be found? will it’s content be read & relished? and more importantly will the visitor buy your product/service after judging your online presence?… these are some questions that often come as an afterthought. To build a strong, rewarding Online Presence, a well-planned and complete approach is what’s needed. So, in this post let me acquaint you with a 5 step process put together to bring visibility on the web be it for an organization, a product or a personal brand. Before we jump to the Steps and the How-To’s, lets understand the wider scope of Online Presence Management. It’s defined (re-phrased from Wikipedia) as the process of presenting your personal or professional brand online in order to market and attract traffic to it. It encompasses not just Web Design & Development but also the strategy & actions to leverage online marketing channels such as Search Engines & Social Media. With this objective clear, let’s dive into the 5 Steps that will lead us to online prominence. In the early days, websites were hand-coded using HTML and subsequent modifications couldn’t be done without programming knowledge. Bespoke coding is still done using technologies like HTML5, Ruby On Rails, etc. if one has customised and special requirements. However, the need to manage website content with ease has made Content Management Systems (CMS) popular. Nowadays, majority of websites are developed on a CMS, many of which are open source based and free to use. If you are developing a simple Content Website for lead generation or branding then an open source CMS such as WordPress or Joomla is good enough. And with the plethora of free and premium design templates (themes) available, you’d be spoilt for choice. For E-commerce sites you can either build using self-hosted open source platforms like Magento, Open Cart, etc or opt for a paid hosted platform such as Shopify or Big Commerce which will relieve you of the maintenance and software upgrade hassles. Note: There are easy to use, hosted website building platforms such as Weebly, EcWid, etc which provide a free alternative for website development. But my recommendation is to skip these if you are serious about creating a strong Online Presence for the long-term. Before installing a CMS, you’ll first need a Domain Name and a Web Hosting Plan. Domain Name and Hosting can be purchased separately but are usually packaged together for ease of setup. You can choose a Domain Name that mirrors your Company or Brand name. Another option is to choose a keyword based name such as weddingfavors.com or singaporebikes.com. The latter can help in Search Engine rankings and can be a good option if your company/brand name is not so well-known. You may also want to use a locale specific domain (such as a .com.sg or .sg) if you are mainly a local business. Web Hosting Plans range from $10 to a few hundred per month depending on storage, performance and features you need. GoDaddy, Hostgator, etc. are some of the popular hosting companies that have a range of hosting plans. If you are based in Singapore, I’d recommend using Vodien for web hosting. Their hosting is reliable and after sales support is prompt. Good graphics, typography, colour scheme, web page layouts, etc are the staple for creative web design. But along with the creatives one needs to incorporate a conversion focused design that aids in taking your website visitor to the next stage of sales funnel. Coz, what ultimately matters is how many of those visitors & prospects that convert to gainful customers for the business. Depending on what your Conversion Goal is….a Form Submission, an Online Sale, a Newsletter Sign-Up, etc. your website should be optimized for Conversions. Conversion Rate Optimization (CRO) is one such scientific approach to tweaking your website in order to have more converting customers. An engaging User Experience, Ease of Navigation, Consistency & Layout of web pages are some other factors. These can improve interaction and engagement on your website and drive more conversions. There’s no dearth of shabby, thin-content websites on the internet today. The importance of Content cannot be understated in today’s information driven landscape. As rightfully said, Content is King! …your ability to provide quality content to your audience, in an easy to consume form and on regular basis will determine the extent to which you can attract and nurture prospects. Welcome to the world of Content Marketing and Inbound Marketing, where the idea is to value-add, NOT sell to your target buyer personas. By positioning your product or service along with valuable content that’s educative, informative and problem-solving you stand a better chance to gain mindshare of your prospects. Along with Content creation, I’d strongly urge you to have a content distribution / promotion plan. Your content needs the views of influencers, PR folks and your subscribers so that it gets shared and mentioned to a wider audience. It’s worthwhile to budget a content promotion effort in order to reach a critical mass. So, to sum it up… Content is the Lifeblood of your website and your online marketing drive. If Content is King, Distribution is Queen! A customer’s buying journey typically begins with a query on Search Engine. Today, a majority of us will search on Google to research or find more about a particular product or service. Does a business who appears on top on 1st of page of Google stand a chance of being considered by the searcher?….Absolutely! Being able to stand in front of a wanting audience at that very time is a capability that one would certainly want to have. SEO is a long-drawn process that takes time to show results (if done correctly). If quick results are what you’re looking for then setup a Search Ad Campaign and pay for your Ads to be served on the 1st of page of Google, Yahoo or Bing. PPC Search Ad Campaigns can be executed with a lot of flexibility and precision. They deliver a good ROI on your Ad spend if setup & run optimally. PPC campaigns for instantaneous results, coupled with SEO efforts for long-term organic rankings should give you the required visibility on Search Engines. Social Media Marketing (SMM) has been all the rage over the recent years. And rightfully so, a platform like Facebook with demographic details of over a billion users is a gold mine for marketers. And as an online platform where people socialise with friends and fraternity, it also plays an important role in influencing a person’s buying decision based on what his/her friends are liking and doing. 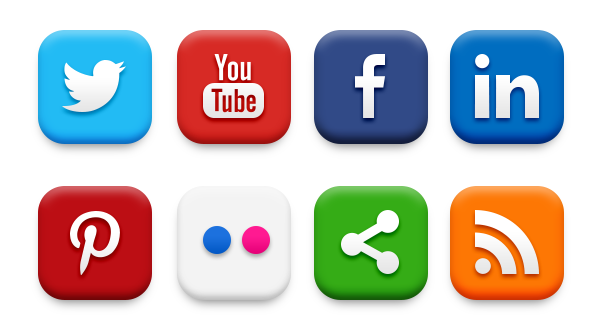 Now, the spread of different types of social media platforms doesn’t mean you have to be present on each one of them. But one should be present on those which suit your product or service offering. For example, Facebook would be ideal for a mass market B2C business or LinkedIn could be well-suited as a platform for a B2B company that’s pitching to a certain segment of professionals. Use paid promotion options to extend the reach of your message beyond your community. It helps increase brand awareness to a much wider and targeted audience. So, if you’ve read this far then you’d agree that managing an Online Presence needs a holistic approach, it doesn’t just stop at the website. While an appealing website is the first step, it needs to be cultivated with a content strategy. Content in turn underpins your SEO and SMM efforts. Create quality content and liberate it on Search Engines and Social Media channels to make your presence felt in the online world! Did you find the information you were looking? Or feel something important has not been covered? Please Share your feedback and thoughts in the comment box below.